Où va la jeune Indoue , a setting by Edmond Gondinet and Philippe Gille, was composed by Léo Delibes in 1883 (B minor) and premiered the same year. This aria takes part in act II of his opera, Lakmé. Léo Delibes, like most of French composers of his time, studied at the Paris Conservatoire. Although he wrote numerous operettas and operas, he met fame with Coppélia, ou La fille aux yeux d’émail, a comic ballet. In 1883, year were Lakmé was premiered, Delibes is well in his forties and an appraised composer. The opera, inspired by French orientalism (a movement that aimed at capturing the ambience of Orient) was immediately successful and is still frequently performed. The first act opens on Lakmé, daughter of Nilakantha singing a prayer in a hindou temple. She decides to go gather flowers with Malika. In her absence, two British officers, Gérald and Frédéric accompanied by Ellen, Rose and Mrs Bentson arrive at the temple. Gérald finds a bracelet and wonders who could have worn it. When Lakmé comes back, Gérald is astonished by her beauty. Lakmé begs him to leave. The two fall in love with each other. Act II opens on Nilakantha who has discovered foreigners have entered the temple. Furious, he seeks for them in the village nearby disguised as a beggar, his daughter on his side. He notices his daughter’s sadness and worries. As a crowd gathers, Nilankantha forces Lakmé to recall the legend of the daughter of a pariah who saves Vishnu. She does so in her aria: Où va la jeune indoue. 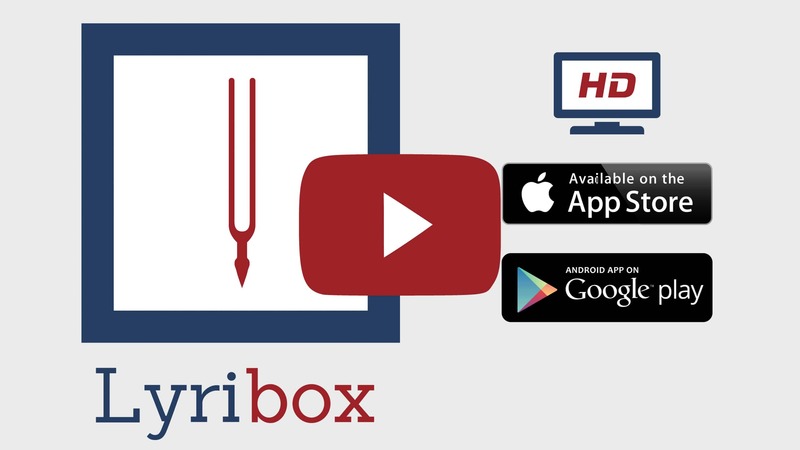 Lyribox, the popular online platform for classical sheet music, accompaniment and ipa translations brings the best by L. Delibes by offering the sheet music, accompaniments and translations to the fans gathered around the site, for the best price that could be found online. The sheet music, accompaniments and translations provided by Lyribox for are of highest quality and accuracy. Où va la jeune Indoue (air des clochettes) originated was composed by Léo Delibes. The original lyrics are in French. The melodious note arrangement of Où va la jeune Indoue (air des clochettes) ranges from pianissimo (very soft) mellow notes to forte (loud) notes carrying the player and the audience through an array of vivid emotions. The sweet soft beginning of the music piece gradually increases and decreases the loudness in smooth transitions. This music piece is decorated with phrases, slurs and an arpeggio. A perfect composition for piano players to try with an intermediate knowledge in music. Students can make use of this sweet music piece to improve their knowledge in music expressions, ornaments and sight-reading, while all music lovers could enjoy this brilliant extract whole-heartedly. Où va la jeune Indoue (air des clochettes) sheet music produced by Lyribox is clear, precise and is transcribed in English by Lyribox. By purchasing Où va la jeune Indoue (air des clochettes) sheet music from us, you can simply sing along as you play this masterpiece on your piano. Unlike many sheet music sold online with all black notations, sheet music we offer you is marked using three distinct colors. While piano notation is illustrated in black, the music expressions and the lyrics are given in red and blue respectively. Get Où va la jeune Indoue (air des clochettes) by L. Delibes sheet music from Lyribox today to enjoy and share this wonderful music composition with your friends and family. Où va la jeune Indoue (air des clochettes) piano accompaniment is offered by Lyribox is mellow and smooth. It feeds the poem an underlying pulse, adding a sense of propulsion to it. Meanwhile the vocal line flows in a dreamy leisure manner forcing the audience into a calming and languid mood. The vocal line of Où va la jeune Indoue (air des clochettes) by Lyribox has the potential to provide slight pitch support for the voice’s sometimes unusual intervals, enhancing the fullness of it. This accompaniment is not at all demanding. Using these rich Où va la jeune Indoue (air des clochettes) accompaniments you could create one of the most brilliant performances that is pregnant with layers and layers of expressions. Purchase the Où va la jeune Indoue (air des clochettes) piano accompaniment together with the vocal line accompaniment from Lyribox today!